The talk of Christmas is starting again, it’s only 10 weeks away I heard today. That means it’s Softies for Mirabel time. 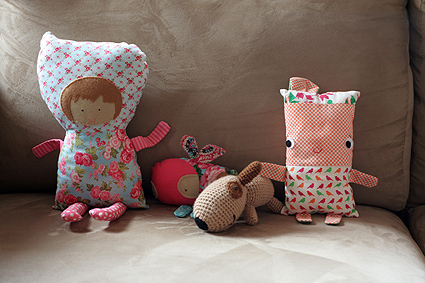 Pip from Meet Me At Mike’s collects handmade softies from around Australia (and overseas) to donate (via The Mirabel Foundation) to some special kids who have been touched by parental substance abuse. 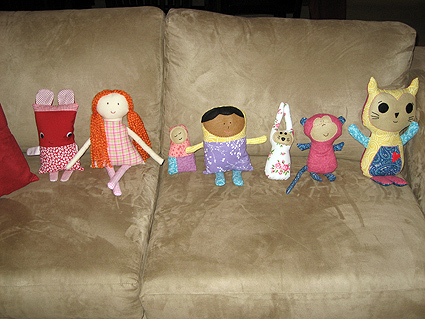 I contributed some softies in 2009, 2010 and 2011 and will try to make a toy or three again this year. It’s been a while since I’ve sewed and I need to give my arm a rest from crocheting soon. You don’t have to be an ace crafter, as long as it’s made with love. Head over to Pip’s blog for all the details.